Loved Martin Freeman’s narrating, and this story is a winner. But it was a little jarring to go from Stephen Fry (my all time fav narrator) to Martin Freeman. Especially since Zaphod suddenly has a Jersey accent which is annoying at first but you get used to it. Freeman still does a top job. Quite jarring to go from Stephen Fry to Martin Freeman's narration, but still expertly done! I am never disappointed with this series. It is always just getting better. Martin Freeman is the best and if that’s not enough.. I don’t know what is. Outlandish compared with Fry, but fantastic! Freeman's take on this timeless classic is wonderfully put. He has the natural gift of a studious narrator. His comical voices have received ill feedback, but I wouldn't listen to anyone's thoughts about it; in an alien universe, who says that they talk with the manner in which we conceive as normal. These voices I think adds to the colourful picturesque of this books fantastic imagination. i love Martin Freeman. i detest the funny voices. Martin Freeman does an excellent job narrating this impeccable work. would happily hear him do the whole series. loved it. it always good to find time to laugh and this book does it. Loved it. An absolute awesome book and read in a super enjoyable way. Martin Freeman was not as good as Stephen Fry but not bad at all. The only voice I didn't like was that of Zaphod's. Otherwise, I think it was a great performance. It's a fun book. Very clear though that women in this series are under utilized. They're basically cardboard cut outs and no personality. it might be a problem of the books from this time. 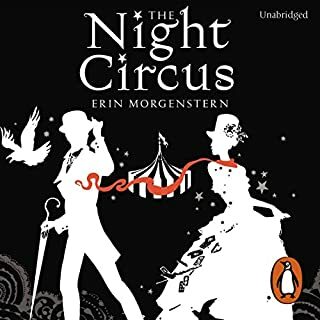 Aside from that, this is really well-written and I enjoyed a break from Steven Fry's voice for the sequel (mostly kidding). Fry does a WAY better job than the narrator in this version. The interpretation of the characters I found really off, especially following Stephen Fry's interpretations for the first book. 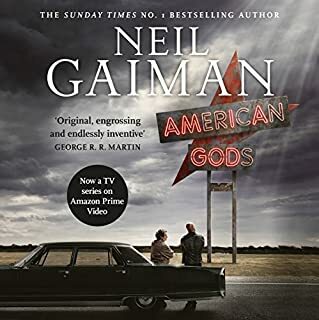 While I've read the books previously and thoroughly enjoyed them - the story is brilliant - Martins reading put me off and i couldnt even get through it. It may not be Stephen Fry narrating book 2 but by the gods, it's Martin Freeman and he does an equally brilliant job narrating this classic! Martin Freedman is good. Very good. Martin Freedman is good. Very good. Different to Stephen Fry but none the less very good. Douglas Adams is excellent. All the rest is fabulous. marvelous, magnificent, mostly epic. This is one of the best sci-fi and comedy stories ever made. After Stephen Fry's excellent narration of The Hitchhiker's Guide to the Galaxy, the swap to Martin Freeman for this second book was a big disappointment. Freeman's inflection is at times so off that I wondered whether this was his first ever read through, and his narration is lacklustre and monotonous enough that it's often hard to tell where the narration ends and Marvin the Paranoid Android's speech begins. Oh, Zaphod Beeblebrox suddenly has a bizarre parody of an Italian American mobster accent. 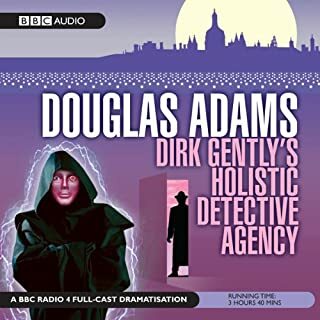 Adams' writing is of course still excellent, but I struggled to finish this audiobook because of the poor narration and likely shan't bother purchasing the rest. 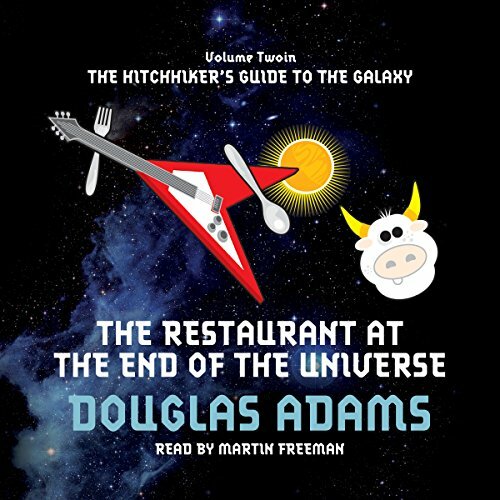 What did you like best about The Restaurant at the End of the Universe? What did you like least? Like all the 'Hitchhikers' books, this is great. But Martin Freeman's voice when doing the characters drove me crazy. When he was speaking as Zaphod's older ghost relative, the screeching went on and on, and made me give up listening for a while - in the end, I could only continue by fast-forwarding. It's hard to do good narration while also doing different voices for characters. Freeman's voice is good as a normal story-teller. But someone should've stopped him, cos he made me hate this audio book. I rarely find a book that can send me into fits of laughter on public transport but The Restaurant at the End of the Universe had me in hysterics from start to finish. The wonderfully British humor and the random spiraling tangents will keep any well respected gentlemen giggling throughout the duration of the book. Out there...in the Universe...exists a great book. 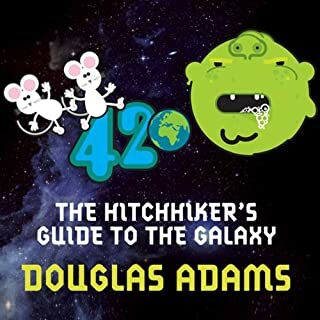 A fantastic continuation to the Hitchhikers Guide to the Galaxy. This story is full of British humour and entertainment. Arthur Dent continues to explore the universe accompanied by his trusty towel, and on the way discovers new places, creatures and witnesses things out of this world. A perfect book to enjoy and loose yourself for hours. Martin Freeman is a man of many talents. His narration is of the highest standard. His steady voice lets you experience and imagine the events in the story, as the world passes by. Overall, it’s a perfect listen. freeman has amazing voice acting! there was only one voice I wasn't sure what to do with, but every single character was consistantly and believable, and when you look at lots of other audio books, that's hard to achieve. a great read for a great book! Sound needs a bit of adjustment to be easier to listen. The story is not as good as the first book, but it's worth your time. You don't need to be a big Sci- Fi fan to enjoy this series! Douglas Adams is the champion of humour and randomness! 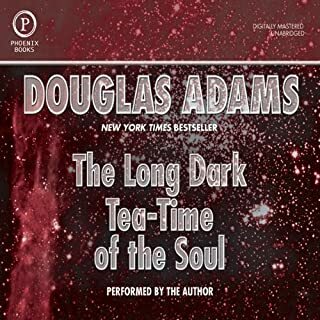 Although, you may feel insignificant, or jealous of the adventures of Arthur Dent as he travels around the universe with Ford, Trillion and Beeblebrox, he takes you with him to all the different places beyond your imagination. Considering that I wished HHGTTG would never end, I found myself wishing away most of the tedious minutes of The Restaurant...Characters I didn't much care for, a story that never seemed to be going anywhere, and attempts at humour which all too often fell flat. Martin Freeman's narration was amusing, but not a patch on Stephen Fry's Hitchhiker's Guide. Not sure if I will bother with the next in the series, in case this ship is on a downward trajectory. .
Great book. Great series. it continues to make me laugh in its confusing and shocking story. I preferred the first book however the characters introduced in this one are hilarious. I'm now that weird guy on the bus who laughs to himself on the way to college. I was apprehensive about this installment at first. 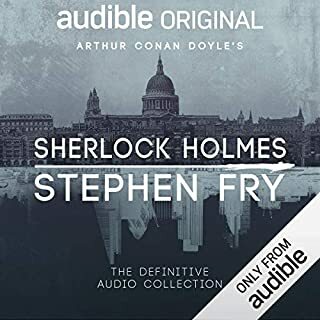 The first one I listened to was done by Stephen Fry and though it was a bit annoying getting used to the new voices I think Martin Freeman did a brilliant job. In particular the Captain of Ark B and number 2. Love this though provoking concept. Hilariously funny. A great follow on from Hitchhikers Guide to the Galaxy.